Look, I try not to double up on these NCAA Under the Radar posts and talk about a player on the same team we just talked about. That said, the majority of the big dogs in the Ivy League this year hail from Yale and Cornell, and nobody is going to buy Michael Sowers as Under the Radar. So, for the first double-dip of the year, we’re going back to Penn Lacrosse to talk about a player who is having some of the best instant-impact in the country amongst freshmen. Sure, that could be Penn’s stud LSM BJ Farrere, but, in this case, we’re actually talking about Penn Lacrosse’s freshman phenom attackman, Sam Handley. With their four leading scorers coming from the attack, it’s very possible Penn didn’t expect Handley to be what he is yet at the start of the season. In fact, he didn’t draw the start in their season-opening loss to Maryland. Since then, however, Handley has started every game, putting up 3+ points in four of his five starts. Six games into the season, he leads the Quakers in assists and sits third in goals, averaging 3.7 points per game. Amongst freshmen, that puts Handley solidly in fourth place in PPG. Safe to say, he’s had a great impact so far as a freshman. Photo: LaxAllStars composite image. Photo screenshot from Pennsylvania Men’s Lacrosse’s Instagram page. Why I want to talk about him more specifically, however, is because he isn’t like the other freshmen making a huge impact. The freshmen scoring more than him hail from the IMG Academy, New York, and Washington DC. Those are all places very known for producing top-end talent, classic hotbeds and a talent farm in Florida. Handley, meanwhile, was the 79th ranked player in his class. Despite elite production and a 6’5”, 215 lb. frame, he was given a two-star rating when he initially committed. The UA All-America game passed over him. Why, you might ask? Well, see, that’s the fun part. See, Handley hails from Portland, OR. Outside of the traditional hotbeds, many players are still not getting the attention they deserve. Sam Handley was a three-time All-State and All-America selection in lacrosse, the Oregon Athlete of the Year in 2018, and also made All-League as a basketball player. Yet scouting reports listed a main weakness of his as “athleticism”. That just strikes me as people not having watched the frosh play, as he moves his relatively giant frame around the field with ease. For Penn, he’s been dangerous as a dodger, which has in turn allowed him to create looks for his teammates. In just his second college game, he was called on to play 63 minutes. He’s already starting to be a relied-upon option for one of the better teams in the Ivy, and one now ranked No. 17 overall. When Penn knocked off a then-top-10 Villanova squad 13-11, Handley registered four goals and three assists to lead the Quakers to victory, a performance that would have probably gotten far more recognition if not for Villanova’s continued spiral. If this is, perhaps, sounding like a familiar storyline to you, you don’t have to go back far to see a similar situation play out. Handley hails from Jesuit High School, who, in 2018, sent another player out into the DI world to quickly become an impact player on a top twenty team. Fifth in scoring for the Syracuse Orange last year, Jesuit’s own Tucker Dordevic put up 19 goals for the Orange before losing this season to injury. The bigger narrative here, to me, is how lacrosse continues to have a problem with finding the stars out west, because it’s still treated by some programs and media outlets as finding a diamond in the rough. 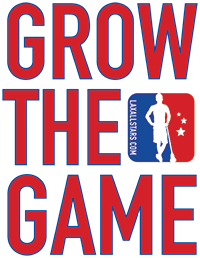 West coast lacrosse continues to grow and expand. 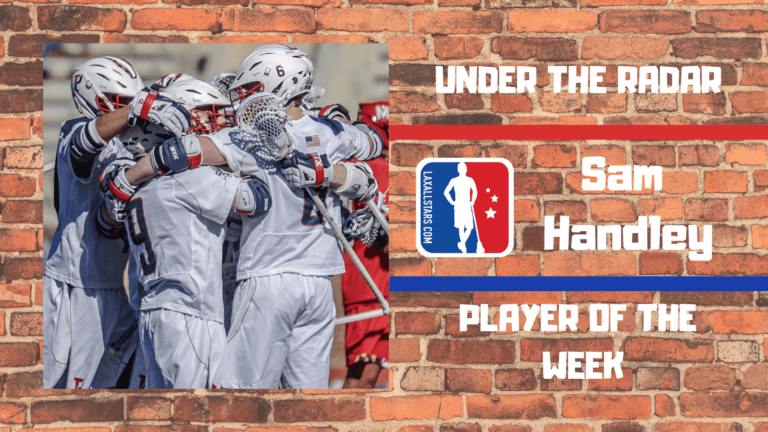 The rise of Denver, and the coming rise of Utah, help to expand lacrosse’s borders, but we continue to focus far more attention on the hotbeds than on the country as a whole. Sam Handley should continue to put up points for Penn, who have a chance to make a real name for themselves with coming games against Cornell and Yale. If he keeps his current pace, he’ll be a household name before he leaves campus. I just hope, for the sake of us west coasters, players like him as less overlooked in recruiting in the future. Penn Lacrosse, however, probably isn’t complaining. Hailing from Eugene, Oregon, Ryder is a student at the University of Oregon and a player in the MCLA. When he's coaching, playing, or writing about lacrosse, Ryder can usually be found raging on League of Legends or choosing to read the books you hated in high school.